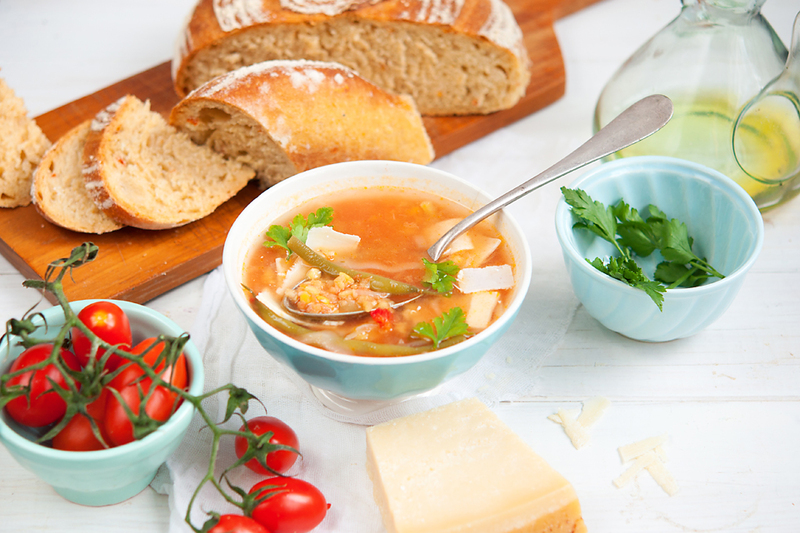 There’s nothing better on a cold winter night than a hearty minestrone. Not the usual type, with pasta or rice, but the experimental type, with red lentils. Ok, I’ll admit it, it’s not experimental in the sense you might imagine, but rather as a result of the need to cook something fast, from scratch, with the little things I had in the fridge/freezer. You see, we had just returned from our ski vacation to an empty fridge and this is all I could come up with. 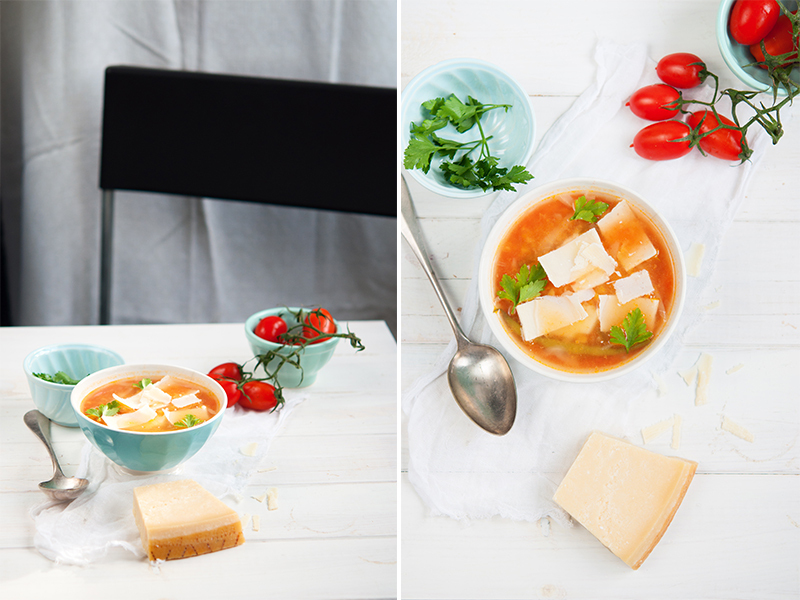 The funny thing is, it turned out so damn good that I decided to share it and declare that the classic minestrone has nothing on my red lentil version! Heat the oil in the soup pot, add the onions and braise just until tender. Add the garlic and braise for one more minute, then add the soup, lentils, veggies and herbs, except for the tomato puree and fresh herbs. Simmer until the potato is cooked through, then add the tomato puree and simmer for 5 more minutes. Remove from hob and add the fresh parsley and basil. When serving, sprinkle with parmesan slices. This soup was so nourishing! I loved the aroma it borrowed from the spices, fresh herbs, but, most importantly, from the parmesan. 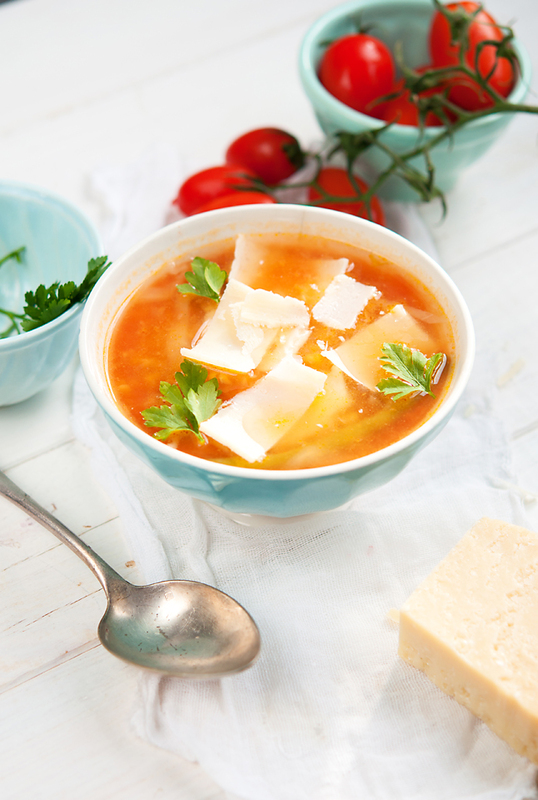 Of course, if you want to keep it vegan, just forget about the parmesan – the soup will still be so incredibly satisfying! I ate it with freshly baked bread with dried tomatoes, it was absolutely insane! I’ll post that recipe soon, so keep an eye on it, you’ll absolutely love it.